How to enter the New Covenant with the Lord Jesus Christ? On this site I have found several articles where I am urged to enter or conclude the New Covenant with the Lord Jesus Christ. How to do this? What does this entry in the New Covenant connote? Yes, you are right. On this site, in many articles I recommend readers who have sent questions to rush to enter the New Covenant with Jesus Christ, so that they may get the redemption of their souls, the forgiveness of sins and inheritance with all the saints. It is not possible to do these things otherwise. Unless someone enters the New Covenant with Jesus Christ he can not any way at any time enter into the kingdom of God, regardless of the denomination to which he belongs, the church he attends and the traditions he keeps. 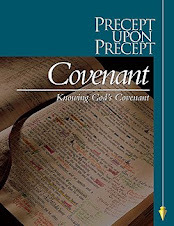 Human relationship with God is regulated under the covenant, and in this regard, I recommend you to get the Bible study “Covenant” by Kay Arthur, which is based on the inductive method of Bible study and study it. If someone does not understand this concept of covenant, he can not understand the message of the Holy Scriptures and the relationship between the Old and New Testament. . Therefore, because they do not understand this concept of covenant, there are people who see the Old and New Testament as different and opposite teachings, and some even attribute them to different deities. From now on, anyone who wants to save his soul from eternal destruction and inherit the kingdom of God must enter the New Covenant with Jesus Christ, which is by faith, repentance and baptism. When someone believes wholeheartedly in Jesus Christ and is ready to dedicate Him all his life, he will enter the New Covenant. Entry into this covenant means self-denial, full denial of sin, of free will, of one’s own plans and be ready for a living in full obedience to the Lord Jesus and His teachings found on the pages of Scripture. Almighty God, I thank you for the love You have for me. Thank You for giving me life and keeping it until this moment. Thank you and I praise You for the holy blood of thy Son Jesus Christ shed on the cross at Calvary so that I can have redemption of the soul from eternal destruction. Please, forgive me all my sins, cleanse me and give me your Holy Spirit. Give my love for the Holy Scriptures and help me to study them daily, to understand and live in perfect obedience to Your teaching. Give me strength to face any suffering with patience and be faithful to You until death. Help me and give me courage to tell all people about the salvation that is in Christ Jesus and serve the saints from Your Church with love. I asked all these and I praise the mighty name of Jesus Christ. Amen. If you said this prayer from the heart, then you have entered the New Covenant. I said that prayer on 27 November 1991 while I was in the room of the hotel “Izmailovo” from Moscow. Then was the moment of my entry in the New Covenant and then I received the Holy Spirit of God. The next thing is to look for a church and when I say “church” I mean a community of Christians who have also entered the New Covenant and live in complete obedience to the Savior’s teaching as it was left on the pages of the Holy Scriptures of the Old and New Testament. If you do not know such a church, begin to look for one and when you find one, go to visit it to see if it’s what you have been looking for. When you find a local church, tell the pastor/priest about your intention to receive baptism and he will fix the date of your baptism. Through water baptism you become a member of Christ Church and of the local congregation/church. God help you to live in perfect obedience to the Lord Jesus under the New Covenant in which you have entered.